Whiplash occurs when the head and neck are thrown or “snapped” back and forth very quickly. The painful result is injury to the ligaments, soft tissue, and discs of the neck and spine. Whiplash also causes impingement, stretching, or irritation of the nerves and the spinal cord. Too many people who have been in a traumatic automobile accident do not receive Chiropractic care. That is the reason why over half of the accident victims never completely recover from their injuries and may live on pain killers for years to endure repeated surgery. Chiropractic care can make the difference between true recovery and healing or lingering pain and disability. Insurance companies realize the many advantages of Chiropractic care. This treatment is generally covered in full by auto insurance policies that include med-pay, whether you are a driver, a passenger, or a pedestrian… and regardless of who is at fault. Our clinic will assist you in dealing with insurance paper work and filling a claim with your insurance company. This treatment is generally covered in full by auto insurance policies that include med-pay. If you or a loved one has been involved in an auto accident in Oakland, Alameda, or Berkeley – even if there are no obvious symptoms – should make an immediate appointment with Symmetry Health Center in Oakland or Alameda, CA. The damage from spinal nerve stress may take months or even years to surface. A simple chiropractic exam and proper treatment can save an accident victim from much pain and disability later. Chiropractic BioPhysics (CBP) is a highly-advanced, scientific, and proven chiropractic technique which corrects and restores your spine back to alignment. 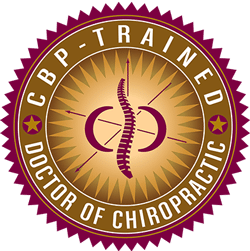 CBP combines biology, physiology, physics, geometry, and anatomy to identify the root causes of your pain, discomfort, loss of mobility, and altered health.